Dr Dean Brandon is a Pediatric Dentist who runs a dental practice in Huntsville, Alabama. He is also one of the most popular dental bloggers online. 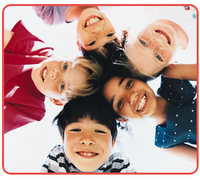 Visit his blog Pediatric Dentistry- a blog dedicated to Pediatric Dentistry and Orthodontics. We give you this interview, to start off a series of interviews to present some insight into dentistry - with interviews of dentists, dental bloggers and others within the dental field. 1. Dr Brandon, you have one of the most extensive online blogs about dentistry and your speciality, pediatric dentistry, in particular. 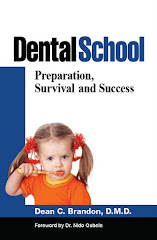 When and how did the interest for dental health and kids first start out for you ? Early on in college I knew wanted to be involved in medicine and/or dentistry. The science and biology of it all fascinated me. Even before entering dental school, I knew I wanted to work with children either as an orthodontist or pediatric dentist. 2. You've been online for four years now with your blog and you have a wonderful way of combining your obvious passion for dentistry with easy to read, interesting topics that everyone can relate to. Why did you start blogging ? You've also been teaching at the University of Alabama. Do you think blogging and teaching ("bringing the message across in an understandable way") has helped you in your communication with patients as well? I started the blog in 2006 when blogging was in it's infancy. I noticed how an obscure small profession could communicate through blogging. Not only as a marketing tool, but to educate. A blog is a conversation, not a lecture. The experience of dealing with patients (and parents) every day helps me with the way I write the blog. The wording I use in talking with patients is the one I try to use in the blog, just as if I were talking right to them face to face. A technical boring academic dissertation on a topic would not communicate what you need to say---not in the office, and not in a blog. I do not do much "teaching" at the school anymore as our private practice takes all of my time these days. 3. You just moved to a new office in Madison, Alabama. How is a normal day in your office and what do you enjoy the most about your job? What do you find most challenging ? As far as what we do pretty much every day, see my most recent post on that. I love the variety. Most jobs/professions are basically the same thing over and over again day after day. There is some of that, but it seems every moment there is some new intellectually challenging situation. We constantly are moving from room to room, patient to patient. Each child that walks in the door is different. We love our new office. It helps that both offices are fairly new and basically the same layout. I made a short tour video so our patients would be able to see the new office even before their appointment. My kids helped me film the thing and it took some time to put it all together, but it was a great fun. 4. This is a common question : as an experienced pediatric dentist, how do you deal with kids that are afraid of/concerned about going to the dentist and if you were to give parents some advice on how to approach this, what would your top tips be ? There are many posts on this subject in the blog. I have a lot on those topics there. Most of the time it's a combination of things. Diagnosing the child's general way of dealing with things, as children are sometimes very different. Some are naturally head-strong, some are always nervous and some are go with the flow. If we do things in a certain order, in a certain way, saying the right things, things generally go quite well. Sometimes we do need pharmacologic modalities (medications or even general anesthesia) to get complicated treatment accomplished, but generally, most things are not difficult. So, as a parent, let the pediatric dentist do his thing. Do not relate your bad experiences or use scary words. It all comes down to two basic things. One, children are not little adults-you do not treat them as you would an adult. Kids are just kids-and you cannot really reason with the unreasonable (especially two year olds). Secondly, the secret is: kids are not really difficult at all, its the parents that demand the most attention and cause the most stress. They bring strong personalities, expectations, past experiences and anxieties. They can be almost over-loving sometimes.It often helps if the parent lets their child be somewhat independent. If we have a child as a patient at a very young age and they come often and have minimal interference from parental anxieties, they will be great patients. 5. One last question : we also try to give some tips on dental insurance and dental plans at this site. There is a debate around the need for dental insurance vs. just discount dental plans. Do you have any particular personal views on this ? I have mixed views on dental insurance. In general it is good for people with lots of treatment needs. It allows people to get work done that might not be financially possible otherwise. At the same time, as a general principle, insurance should only be for catastrophic situations-death, cancer, a major car accident, the rare but potentially financially devastating situation. Dentistry is more routine and would best be handled without insurance. People often forget that an employer chooses to give them dental insurance in leu of a higher paycheck. Sometimes, I think it would be better for an employee to have the higher paycheck and use that money to deal with dental expenses. Remember, an insurance company is a middleman between you and your doctor, that can be a problem. Also, it is usually the employer that bought the policy and is the customer of the insurance company, not the employee. Still, if it is offered anyways by the employer, I think it is can be a good thing, so long as the patient understands the limitations of their specific policy. It is very sad to me when a patient decides not to have recommended treatment done because their insurance policy "does not pay for that." There is always a concern with finances, but I think we as a practice have failed to communicate the real need for the treatment if that happens. No dental insurance policy pays for everything. Since you are a pediatric dentist who blogs about the options of esthetic alternatives for full crown restorations in the primary dentition, I would like to recommend to you that you learn about the PedoNatural Crown. You can visit www.PedoNaturalCrown.com to learn more about this procedure. Learn what other dentists are saying about this procedure. I would be happy to answer any questions that you may have. The PedoNatural Crown is a pediatric application of a procedure that has been in clinical use since 1997. The esthetics are self evident (and amazing) and the procedure is simple and cost effective. The results are long lasting and durable. The PedoNatural Crown is a superior alternative to the composite strip crown and the resin veneered stainless steel crown. I hope you get the chance to learn more. Sounds interesting, we are always looking for alternatives. We us Pedo Jackets a lot for front teeth which look pretty good and seem somewhat similar to this product. I am always wary about posterior applications as children are quite brutal on posterior teeth even chewing through stainless steel crowns (still the standard) and wearing through natural enamel too-see my post on this.. So far, every esthetic posterior crown system has had so many problems they are not often practical. Long term studies and experience on posterior teeth use would be interesting. Actually the PedoJacket is not similar to the PedoNatural Crown. The only slight similarity is the material that is used to make the crown form, i.e. polycarbonate. The PedoNatural Crown form is very thin, ultra flexible yet very durable and is anatomically correct for all primary teeth. When used in combination with the proprietary acrylic fill material (which is moisture tolerant!) the crown form and the acrylic seemlessly unite, resulting in a highly esthetic, highly durable full crown restoration for the primary dentition. The Pedo Jacket is much thicker, harder to adapt and is not anatomically correct and the esthetics and durability are not as reliable. The Pedo Jacket is used with composite or just cemented with a resin cement so there is a lack of conformity on the protocol. We will be presenting a mini clinic at the AAPD meeting next year in Chicago so if you're going to attend please come introduce yourself. I would be pleased to meet you. thanks for the link... u can check this link for new millennium crowns -Paediatric Dentistry: Principles and Practice By Muthu, page 241.... are these pedojacket/pedonatural crowns available in india.